Flame Tree Press, 9781787581241, 288pp. 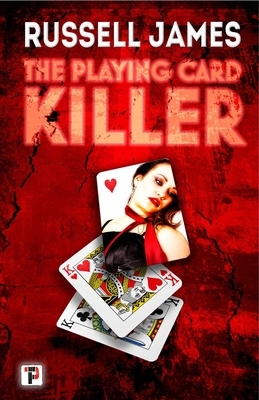 During withdrawal from anti-anxiety medications, Brian is plagued by dreams of women strangled and then left with a playing card tucked in the corpse. But then a nightmare's victim shows up on the news, dead. Brian fears he may be the unwitting killer. Detective Weissbard thinks the same thing, and starts to build a case to get Brian behind bars. But there's more to these slayings. Brian finds that his family tree has yielded an unknown brother, Tyler, with a penchant for murder. Tyler is willing to frame Brian for the crimes, unless Brian wants to join Team Playing Card Killer. FLAME TREE PRESS is the new fiction imprint of Flame Tree Publishing. Launching in 2018 the list brings together brilliant new authors and the more established; the award winners, and exciting, original voices. Russell James grew up on Long Island, New York and spent too much time watching Chiller, Kolchak: The Night Stalker, and The Twilight Zone, despite his parents' warnings. Bookshelves full of Stephen King and Edgar Allan Poe didn't make things better. He graduated from Cornell University and the University of Central Florida. After a tour flying helicopters with the U.S. Army, he now spins twisted tales best read in daylight. He has written the paranormal thrillers Dark Inspiration, Sacrifice, Black Magic, Dark Vengeance, Dreamwalker, Q Island, and Cavern of the Damned. He has four short story collections, Tales from Beyond, Outer Rim, Forever Out of Time, and Deeper into Darkness. His wife reads what he writes, rolls her eyes, and says "There is something seriously wrong with you." They live in Florida with two untrainable cats. Visit his website at http: //www.russellrjames.com and read some free short stories. Follow on Twitter @RRJames14, Facebook as Russell R. James, or drop a line complaining about his writing to rrj@russellrjames.com.